I started listening to this on Libro.fm and it is so honest and truthful I was getting flashbacks of my early single parenting years. This is honest look at a service industry that does not get enough credit. It is also an unflinching look at the working poor and how hard it can be to get a hand up. This was a thrill ride of a story that did not disappoint! I was afraid to see what would happen next. When the criminals are three steps ahead of you and you have no place to go, this is what happens. This was an intense read that had me hooked to the very end! Fox just bought the right to make this a movie. The Current is a tense, atmospheric read. I loved the slow burn of this thriller. Once I sorted out who was who I enjoyed this third person narrative of similar tragedies, years apart, in a small Iowa town. Aways Hungry? 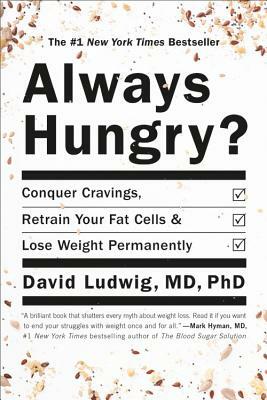 is a no-nonsense look at why we gain weight, the misconceptions we've been taught about "healthy eating", and how to change you diet without cravings without making you feel as if what you're doing is dieting. We have some really exciting events coming up. During this class you will be able to create a Connecticut state string art design. You can completely customize your piece by choosing a wood stain color, the string color of your choice and custom vinyl lettering. This event is great to attend with friends and family to create a beautiful piece for your home or a special gift for a loved one. Each attendee receives a 10"x10" board, state design, and vinyl decal. We also supply all the tools needed to complete your work of art. Light refreshments will be provided. BYOB. Cost of this event is $40. Click here to register. Join us at Manchester Public Library as we celebrate the launch of Megan Collins' debut book, The Winter Sister! This talk and signing will be a FREE event. Refreshments will be served. Join us for a Hamner Elementary School Fundraiser! We will have crafts all day and teachers reading to students. 10% of all purchases from 11:00am-4:00pm will go to H.W. Hamner Elementary School. If you can't make it on Saturday just mention Hamner any time you shop at That Book Store February 8th-10th and we will donate 10% of your purchase. That's all for now, hope to see you here soon!